As a vintage collector, writer and seller, there are brands of kitchenware that I just love and cannot resist buying. 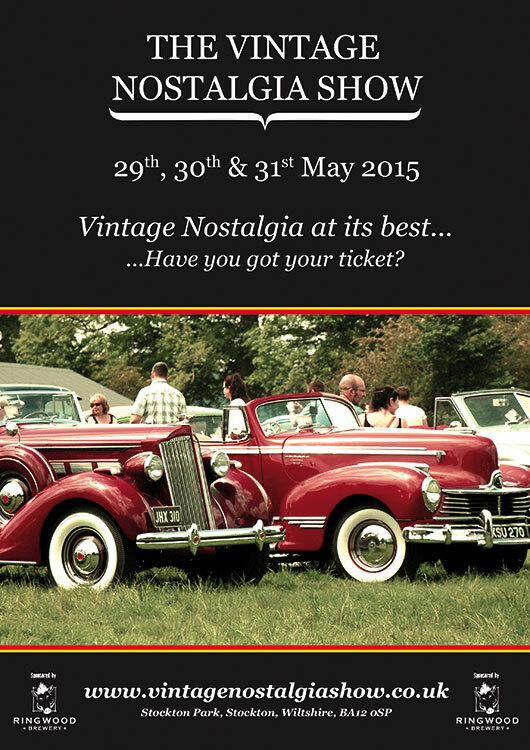 Interestingly my favourites have been in production for many decades and are still made and admired today. The American company Corning Incorporated, developed a toughened glass that could withstand extreme heat at the start of the 20th century. Rumour has it, one of the executive’s wives suggested that this glass would make great bakeware and in 1915 Pyrex was born. They quickly became the most successful kitchen brand in history through cleverly selling the licence to produce it all over the world. 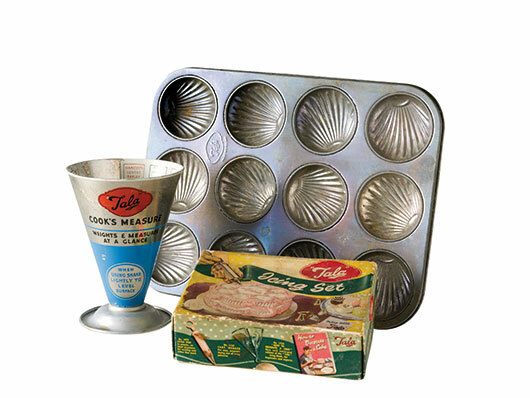 Tala designed kitchen items focusing on function and practicality such as icing cones, baking trays and the famous Cook’s Measure. This cone shaped measure enabled the cook to weigh a variety of popular grocery items such as oats and flour quickly and easily. 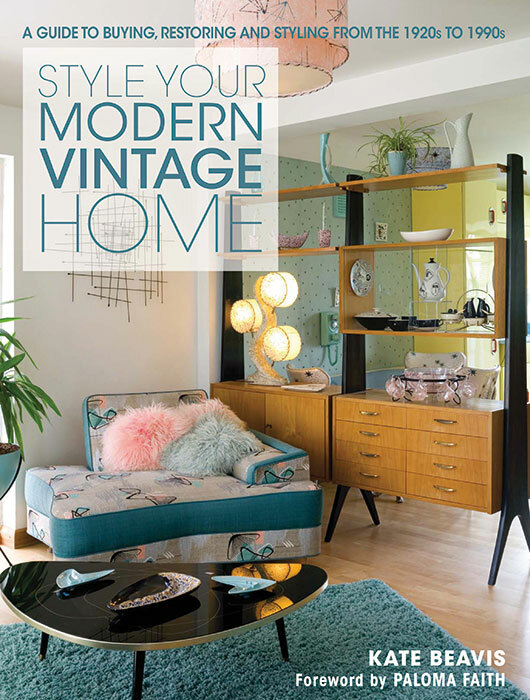 Adverts appeared on the back of magazines such as Ideal Home, with the catchphrase “For Beauty and Efficiency”, which were the two important features in kitchen design at this time. Originating in 1899, this well-loved brand has been re-launched for the 21st century focusing on the way we cook now by introducing world cuisines to the Cook’s Measure, including the Curry Measure and Moroccan Measure. 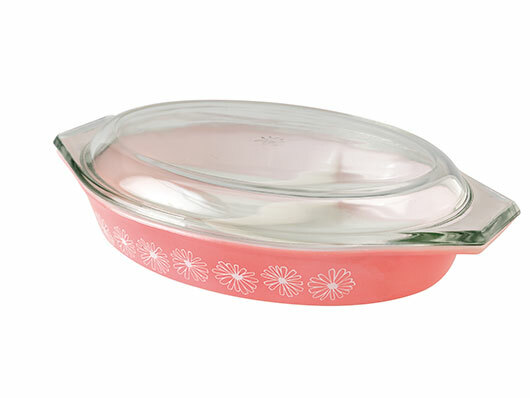 Tupperware revolutionised our lives back in the 1950s, and even earlier in America. Before this time it was hard to store food properly and these airtight containers enabled women to cook in larger batches, to eat over the next few days. But Tupperware was so much more than storage – yes they designed cheese graters, beakers, egg cups, measuring jugs and more – but it was the way it gave freedom to women that made it so important. After the war, women gave up their new-found freedom to return to the kitchen to cook and care for their families. The Tupperware party gave them a chance to earn money and enable them to meet new people in the comfort and safety of their own home. 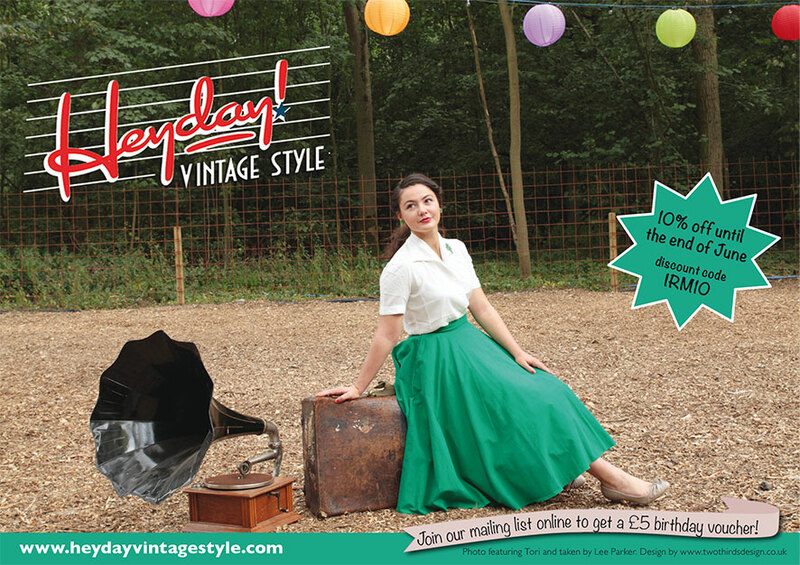 The brand ceased trading in the UK in 2003 but their products are still sold in 100 countries worldwide. 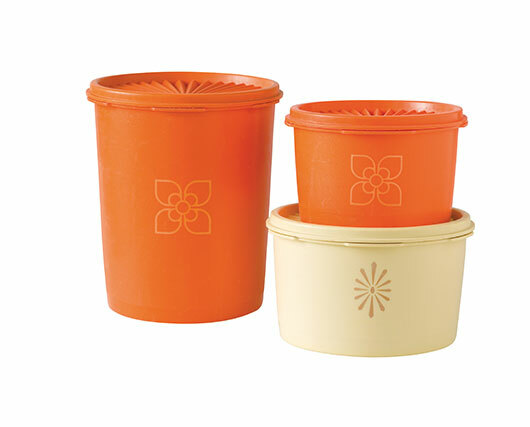 I love the 1970s Harvest range in bright citrus colours with ‘burp seal’ lid and the 1950s pastels with their clear lids and slight beehive shape. 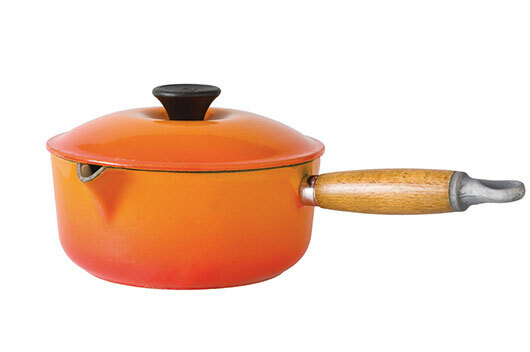 The French enamel cast iron pans launched as early as the 1920s however, it took 50 years for the UK to embrace this bright orange cookware. In 1972 the Italian designer Enzo Mari came on board and redesigned the traditional ranges with a new modern look, that was a must have item on everyone’s wedding list then and now. Introducing the first fondue set, they not only started a new craze for parties but showed us that cookware could come from the oven to the table. These pans with their wooden handles look great hanging on a wall or from a pan rack on the ceiling. But be careful as they are very heavy! 1n 1936, Donal Morphy and Charles Richards joined forces to become the famous electrical brand Morphy Richards. Their mission was to produce electrical kitchen gadgets that the masses could afford, rather than the luxury items that had been sold before. 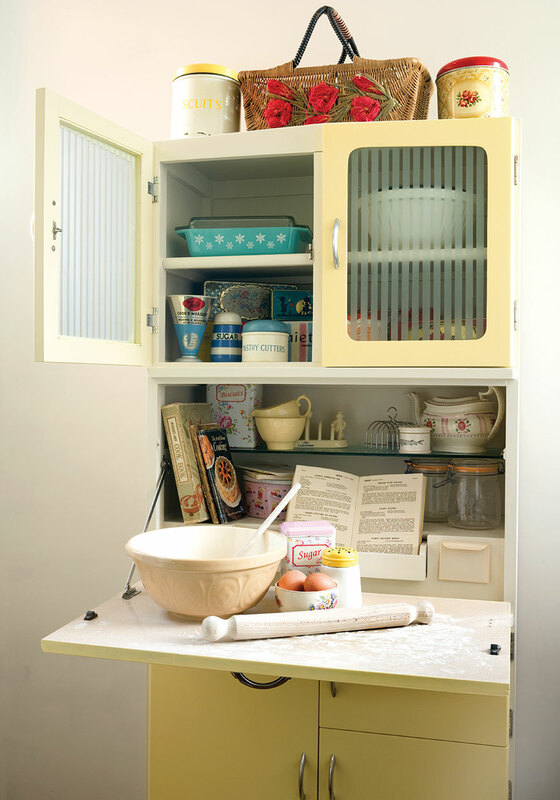 Manufacturing stopped during the war, with their efforts and factories used to make aircrafts instead, however, when the 1950s love for home interiors boomed, they became a leading kitchen brand. Producing gadgets that every housewife desired; from irons to toasters, blenders and even hair dryers, it’s hard to realise now why this was so important to women at the time. The introduction of these and others household gadgets such as a steam iron that created enough steam for 25 minutes and a blender that mixed in moments, not only gave women their time back but the ability to produce wonderful food too! Salter Housewares began in 1760, in the UK village of Bilston, where they first produced fisherman scales, similar to the ones used today. Their range further developed from 1825 onwards, when the founder’s nephew George took over the company, renaming it George Salter & Co. They moved to West Bromwich where they designed the kitchen and bathroom scales and went on to become the leading measures brand throughout the 20th century. However, most of their scales were for commercial use such as the large Post Office and green grocer scales, but due to the trend of new gadgets and interesting designs in the 1920s and 30s, Salter designed smaller scales in coloured enamel to match the bread bins and casserole pots. From the enamel 1930s scales with heavy weights, bright orange 1970s mixing bowls that sit on a black plastic stand, to red wall hung scales with a folding down square tray, Salter have designed a look that works in every kitchen. Alessi kitchenware was established as early as 1921, in an Italian village famous for its wood and metal craft. However, it wasn’t really until the 1980s that the brand became huge, through their clever use of employing recognised designers to create stand-out items that became their signature look. 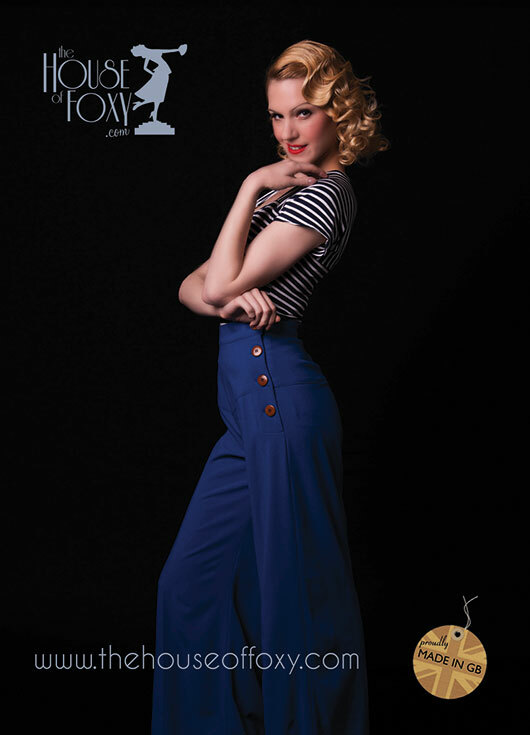 The designs were, and still are, fun, quirky yet beautiful at the same time. The first iconic piece was the bird kettle designed by Michael Graves in 1985; a chrome kettle with a plastic bird at the spout which whistles when the water boils. The feel of this is very art deco with its geometric shape, high shine and even a celluloid looking bird. 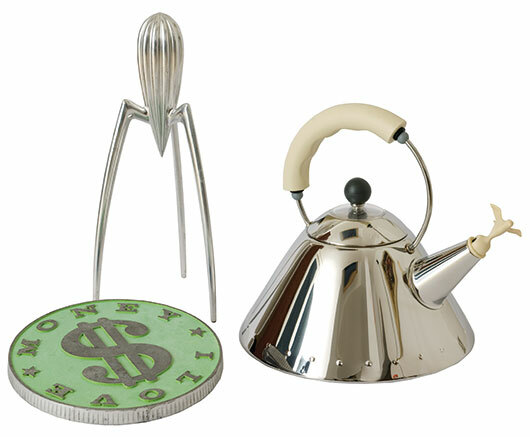 The Juicy Salif, designed by Phillip Stark is without doubt the most famous lemon squeezer in the world and is firm ‘must have’ item in both a vintage kitchen as well as a modern one. Its three long legs remind us of the atomic age but is futuristic too. Another favourite is the Anna G corkscrew designed by Allessandro Mendini in 1994 and the clear storage jars with a plastic Gianni holding on tight taking the design to the inside rather than outside. There are other brands that were popular then as they are now such as Brabantia, Prestige and even Formica. 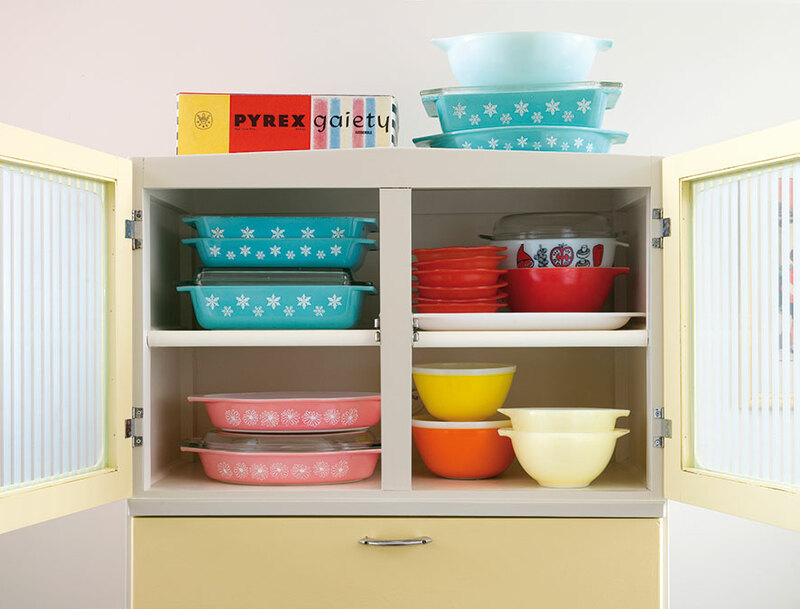 All designed fun, bright kitchenware in the 1960s that are still loved today. 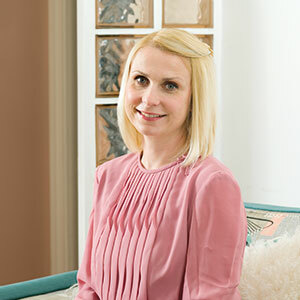 Kate Beavis is the author of Style Your Modern Vintage Home, published by FW Media which is a guide to buying, styling and restoring vintage from the 1920s through the early 1990s.